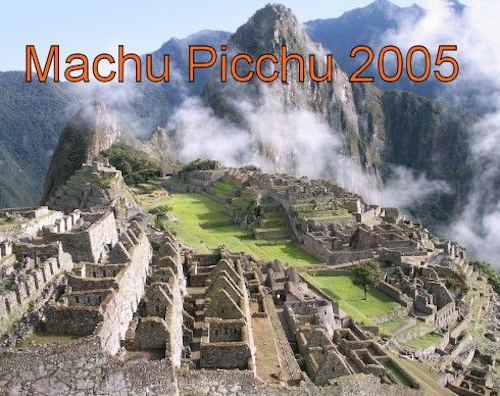 Machu Picchu “old peak” is a 15th-century Inca site 7,970 ft above sea level. 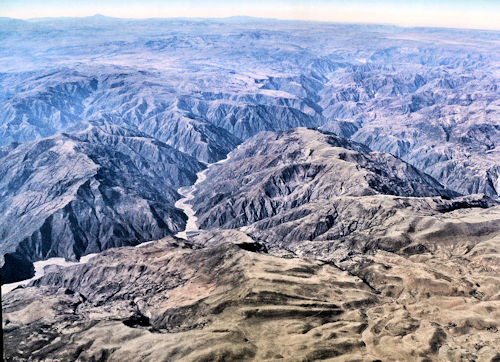 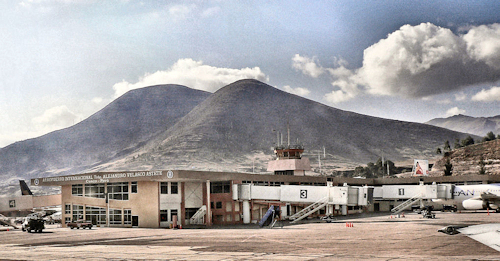 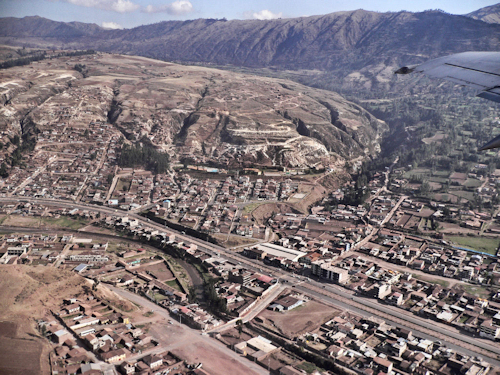 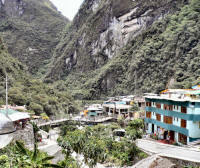 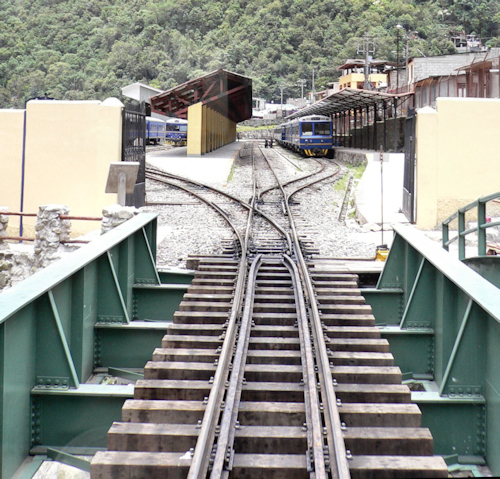 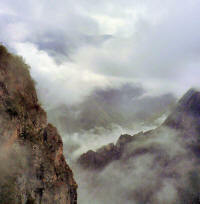 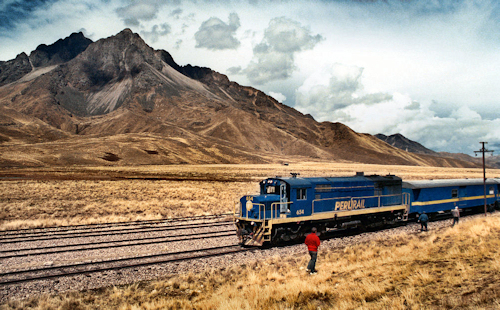 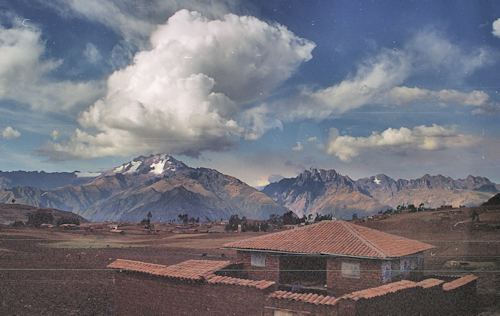 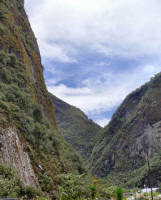 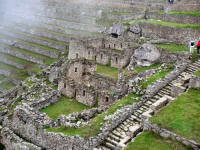 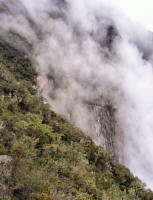 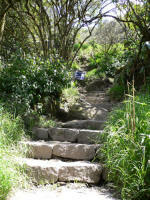 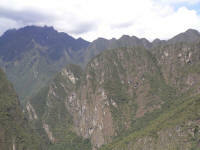 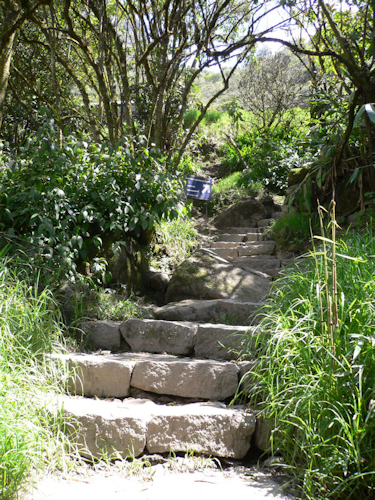 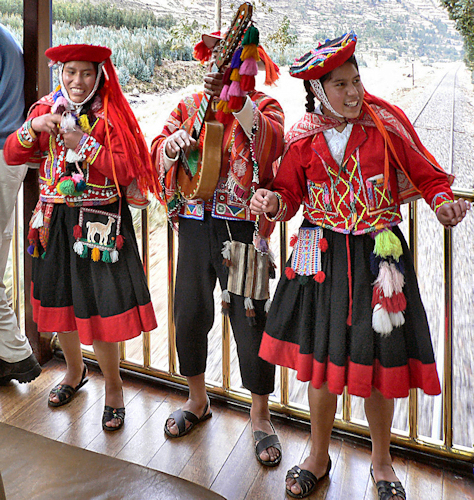 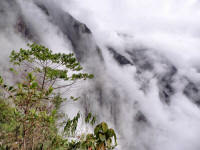 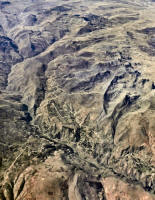 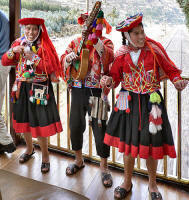 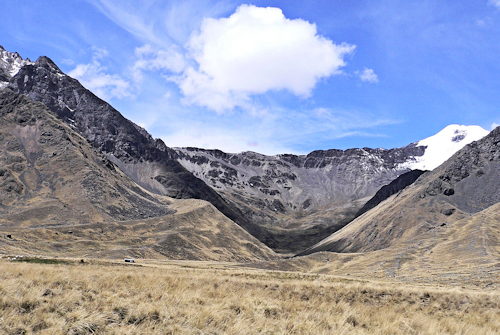 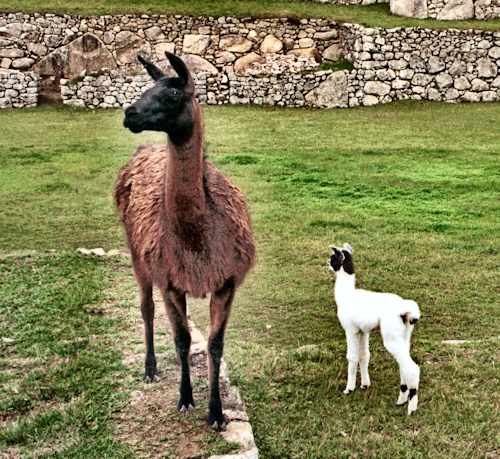 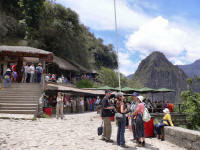 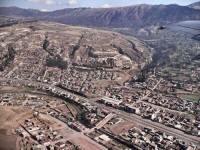 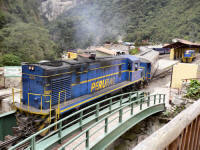 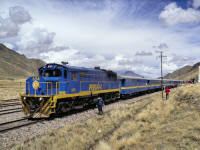 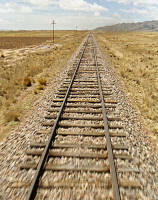 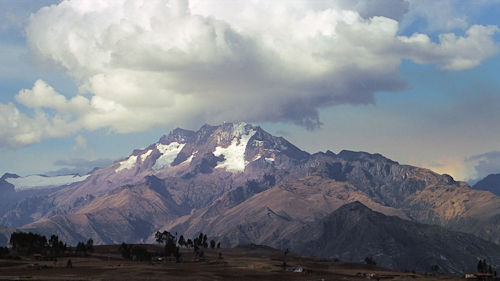 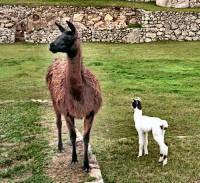 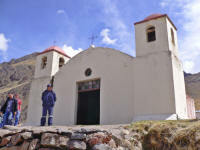 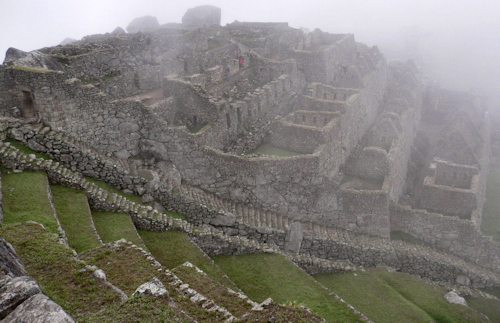 It is located in the Cusco Region of Peru 50 mi northwest of Cusco. 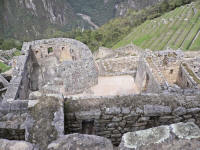 The Incas built it around 1450, but abandoned it a century later at the time of the Spanish Conquest.. A lot of the outlying buildings have been reconstructed. 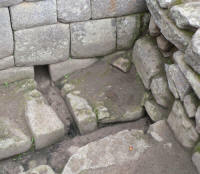 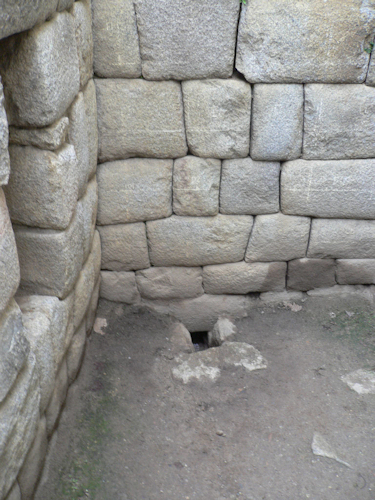 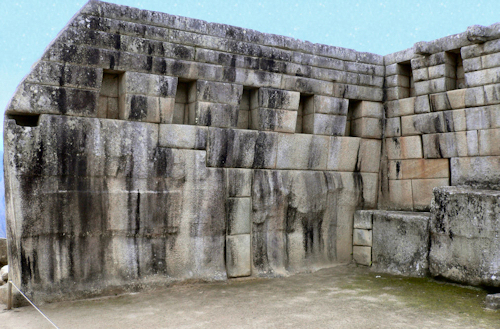 Since the site was not known to the Spanish, it is highly significant as a relatively intact cultural site. 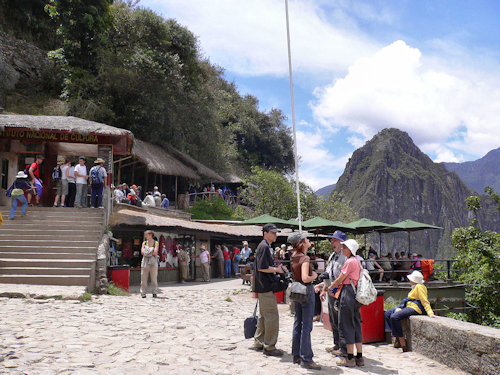 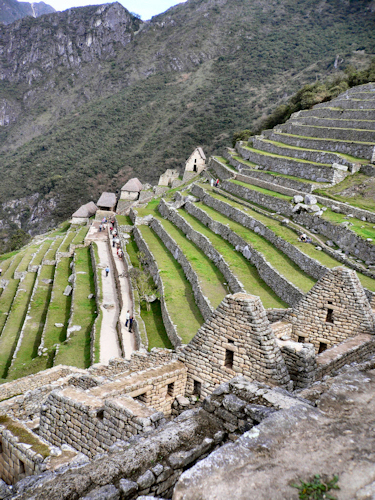 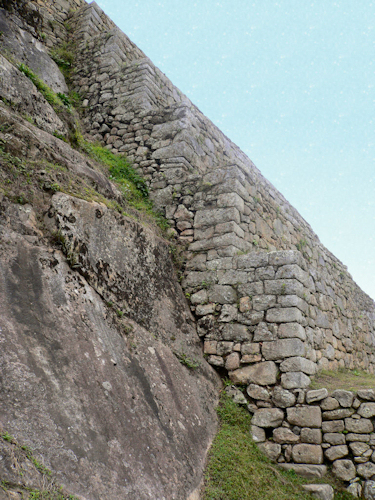 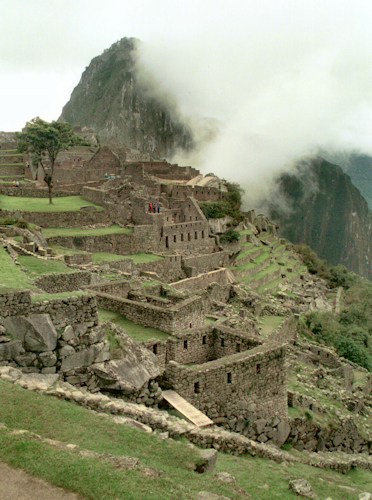 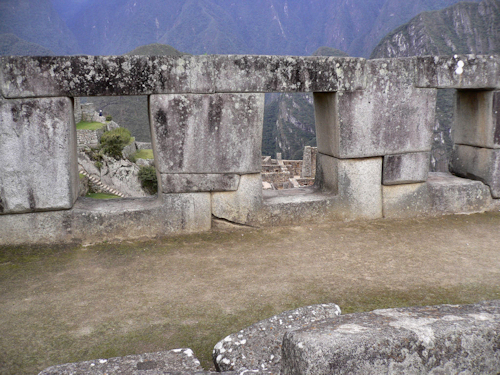 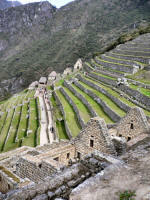 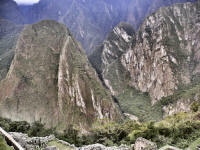 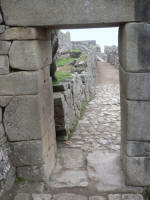 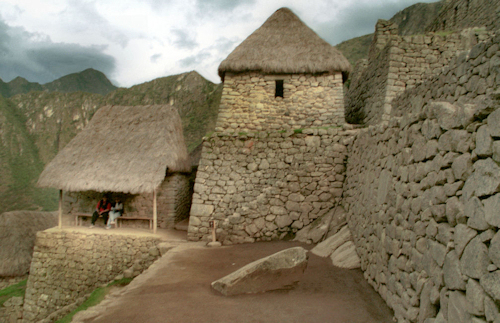 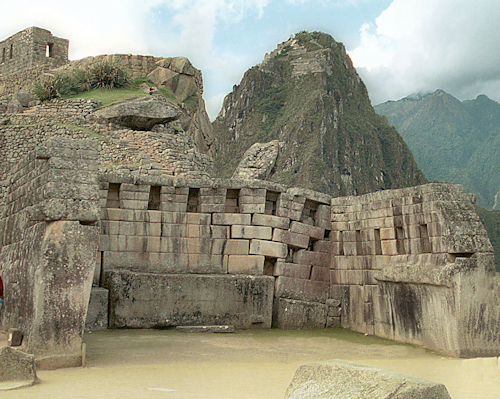 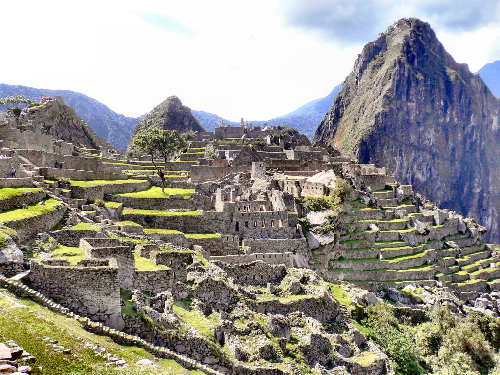 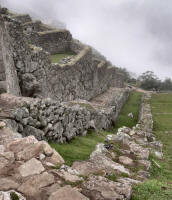 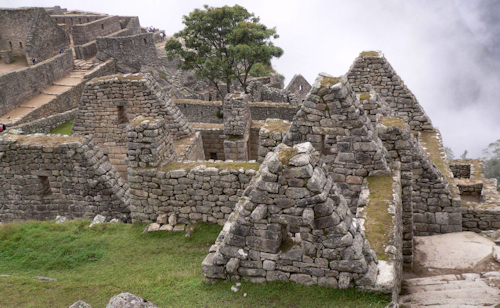 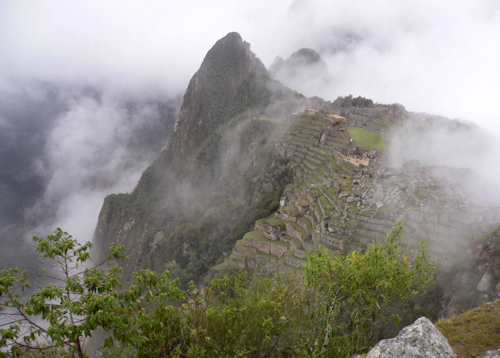 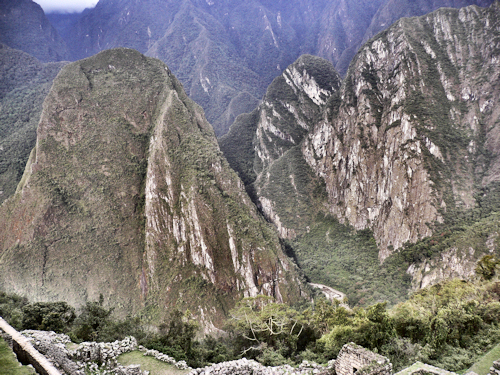 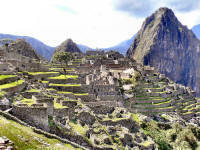 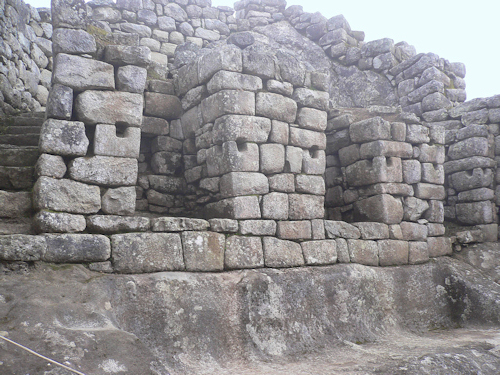 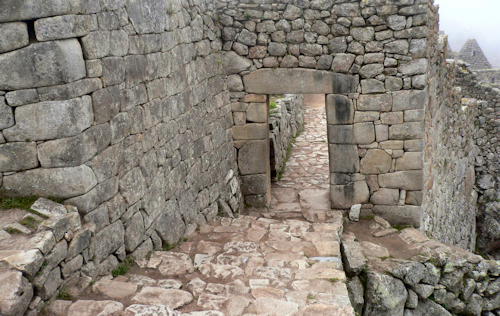 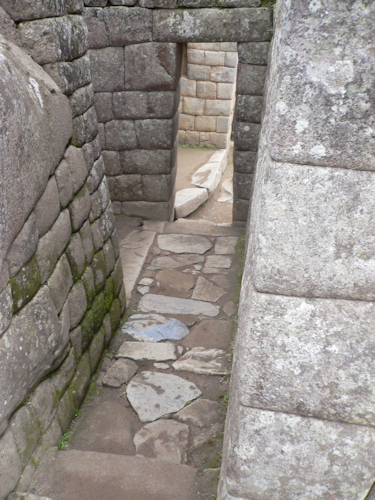 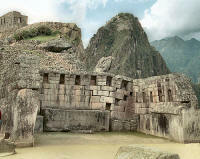 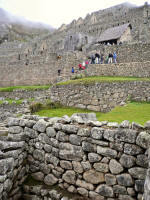 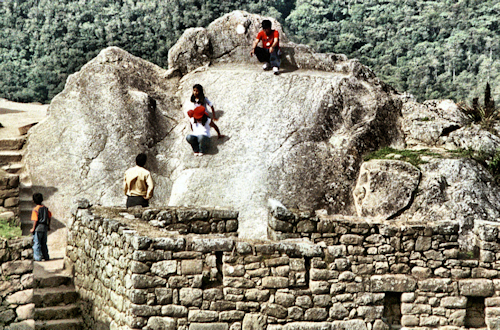 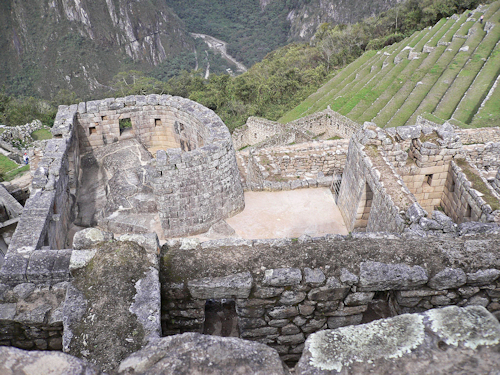 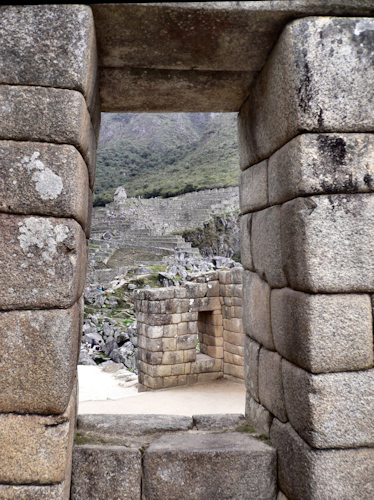 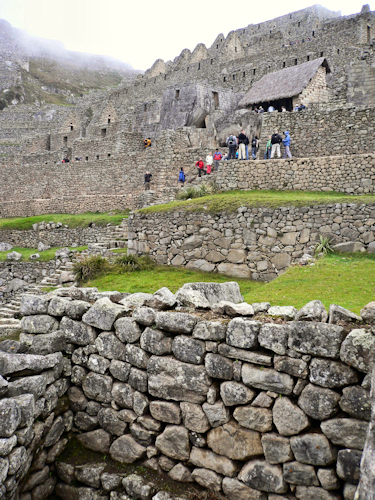 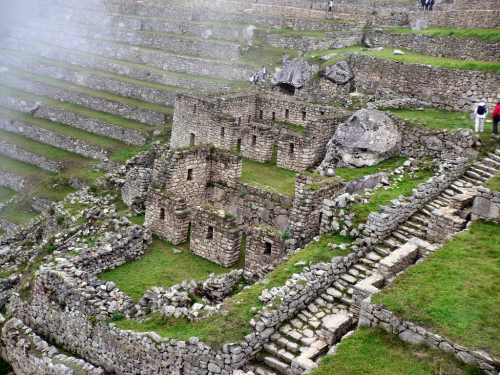 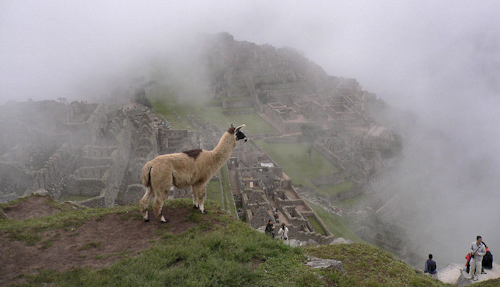 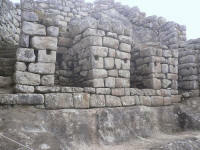 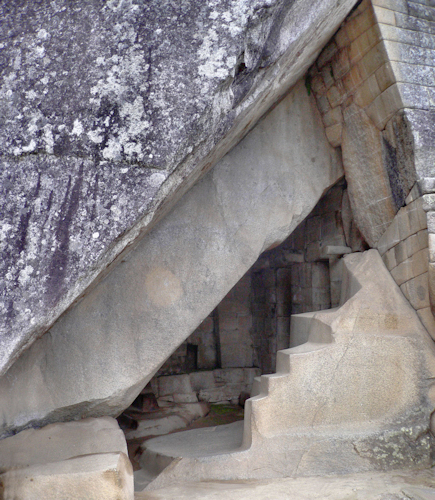 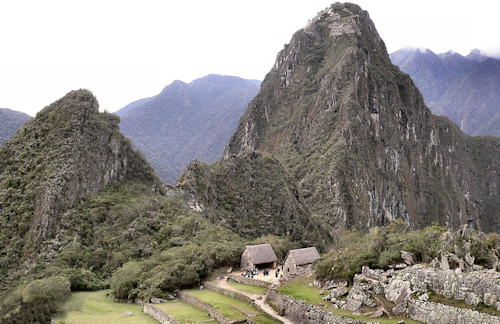 Machu Picchu was built in the classical Inca style, with polished dry stone walls and originally had thatched roofs. 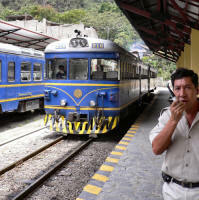 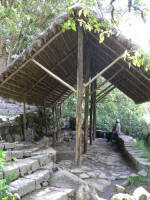 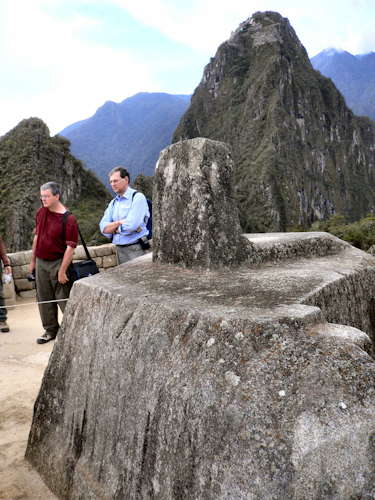 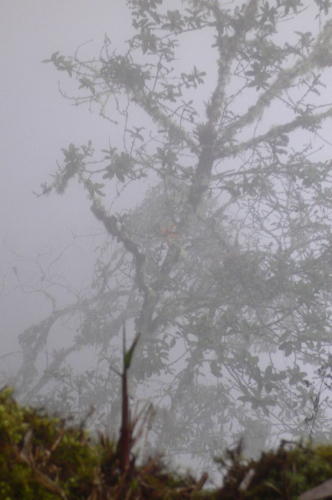 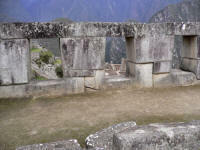 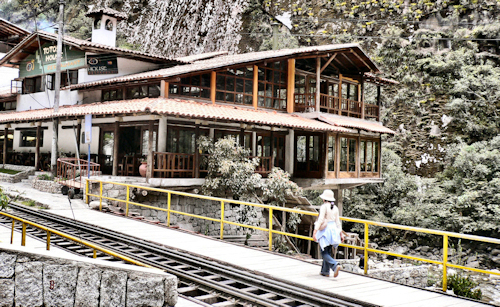 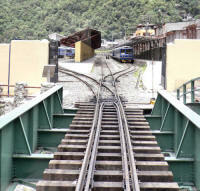 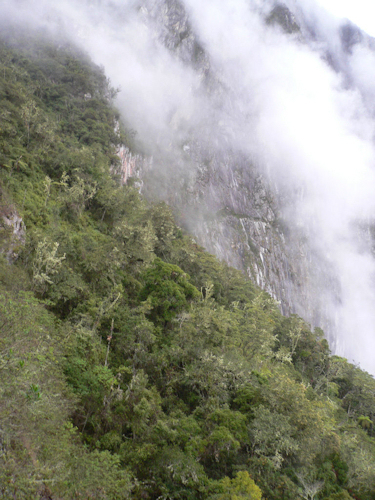 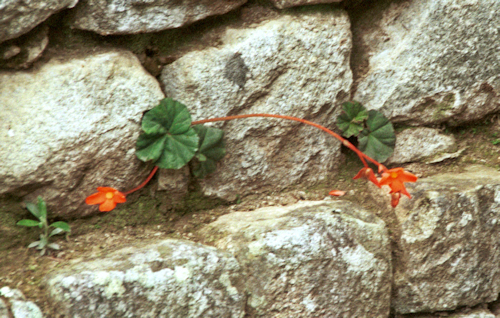 It was plundered for artifacts by Hiram Bingham who “discovered” it. 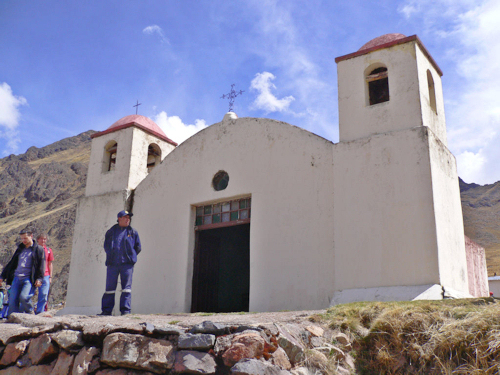 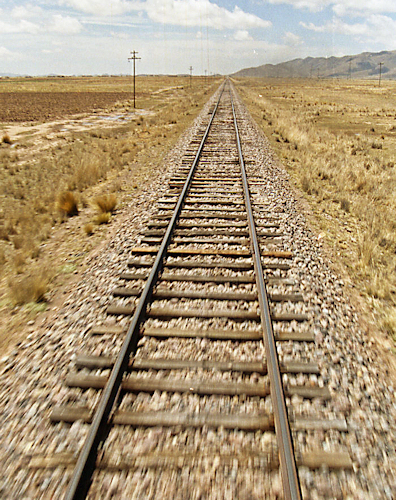 A Church at Train stop and passing point. 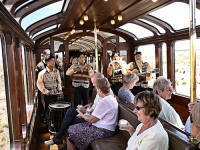 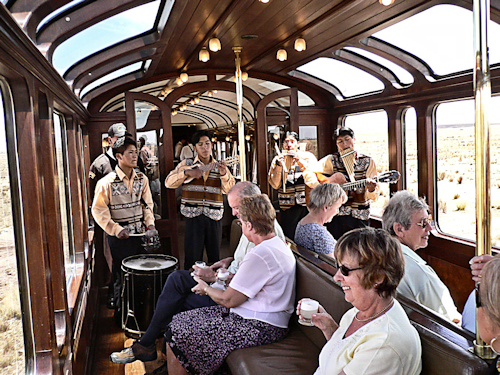 "Hitching Post of the Sun"
The Observation Car and local band.